One of the more common questions I get asked is how I manage to make the time to write the Hail Pelicus introduction and the other segments. Well, as it happens my family is quite wealthy so I really don’t have much else to do. You see, I am a trust fund baby. My father invented the umlat used by 80’s metal bands and the residuals for that stroke of genius keep rolling in every time Blue Öyster Cult, Queensrÿche, Motörhead, and Mötley Crüe (to name a few) play a reunion tour, which is pretty constant. We even successfully sued Berkeley Breathed over the use of Deathtöngue and were the real reason the band was renamed Billy and the Boingers. The sweet, sweet cash from that little transaction bought a vacation house in Belize. As you can see I have plenty of time to carefully craft genuine insight and humor into your weekly Northern California rugby newsletter. Unfortunately, since I am a trust fund baby and never learned the value of hard work, I usually just slap this together at the last minute between massage appointments and lunch at the club. Not that anyone has ever noticed. I would like to expand on this week’s theme of Time. One of the primary duties of referees involves time. While it is true that at the professional and international level there is often a group of officials available to handle the various timekeeping tasks for 99% of us we have to do it all ourselves. We keep track of the match time, stopping when necessary. We keep track of sin bins and blood bins. Knowing that time is a valuable resource we harshly penalize time wasting. One of the first lessons we teach new referees is “be on time”. Very few things will give a worse impression than sauntering up to a match at the last minute or, even worse, late. The concept of advantage allows a referee to roll back time if necessary. More subtle manipulation of time occurs at breakdowns as a good referee knows when to allow time to “let it breathe”. Our own Phil Akroyd is a master of time and demonstrated this keen understanding and special adherence to Law 5 – Time, specifically Law 5.3 – Time Keeping: “The referee keeps the time”. This keenness was captured as This Week’s Photo and is this week’s featured photograph on the web version that you are currently reading. It is no wonder that Phil was assigned to one of the most high profile and probably best played rugby game in the country. As the Keeper of the Nomenclature, it has been decided that such dedication to one of the most vital roles a referee can play should be recognized. As it pleases the Senate, Phil Akroyd shall be known forevermore as Pelicus Tempus Procurator! All Hail Pelicus Tempus Procurator! I touched down at Heathrow Airport on March 1st, St. David’s Day, for a two and a half week visit to England which would include refereeing two rugby matches. I stayed at the Twickenham Marriot’s, where I enjoyed a tour of the stadium along with a group of security system sales people, at no charge, as I went along as their ‘guest.’ I did get into London afterwards, and took in the East Embankment, the British Museum with all that stuff that Egypt and Greece would want back, and Sherlock Holmes’ lodgings at 221B Baker Street. The third day of this journey was a cold and rainy one, unlike the first two that were just cloudy and cold, and saw me on a train to the West Midlands and Evesham, where Kevin Falvey, the president of Bredon Star Rugby Club, and his wife Meryl, picked me up at the station. Bredon Star had hosted the California Bald Eagles in October of 2015. We drove on to Rugby to take in the two museums in the town, luckily the rain stopped, and wandered over to the school store, and then as a group of students passed on in their school uniforms, including girls with skirts down to their ankle, we walked over to “The Close” and the adjoining wall with the plaque to William Webb-Ellis. It was then on to Stratford Upon Avon and Julius Caesar that played that night, apparently with some known BBC and ITV and screen actors. On the 4th Bredon travelled to Dursley RFC, in a little village in the south Cotswolds, the game played on the third pitch, which was less muddy and better than the first or second, near the clubhouse, which made me wonder why it’s the third pitch; but it took a walk of about 1/8th of a mile to get to it down a very muddy trail. Dursley won, it was 9C, or 48F, but the wind, from the south, could cut you like a knife! Most onlookers had Wellies on. I got to borrow a pair of ankle high boots. Skipping on to the 5th, at Bredon’s recreation grounds, the club’s U-17 side took on a team from Lancashire’s Oakham RFC, who were on a weekend tour of the area. The pitch was very muddy after the few days of rain, and the cold that had been hanging around since I had arrived hadn’t left, as the temperature was about 8C, or 46F, at kickoff at 11am. 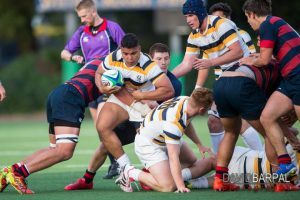 Both sides spent the majority of the match stifling each other’s offense, as the conditions weren’t conducive to running rugby. But at the 30th minute of play one of Bredon’s backs saw a gap, raced through down the right touch line and scored an unconverted try in the corner. The rest of the game was scoreless, and Oakham had a few chances very late, in injury time, to run the ball because of infringements. A knock on and kick into touch ended the match. I had a train to catch in Cheltenham for Barnstaple at 1pm, so it was a quick shower, a few sausages and chips, and Kevin racing me out of town to the train station. For much of the rest of the day I spent in a train carriage, heading southward to Exeter, changing trains there for a rickety train line northwest to the North Devon coast and Barnstaple, where a referee from the Devon Referee Society, Jack Russell, picked me up and then gave me a ride to the Woodford Bridge Country Club, out in the middle of farm country, in a very remote location, some 16 miles from Bude and the northermost stretch of Cornwall’s northwest coast. There’s random bus service in the area, and the nearest village is Holsworthy, six miles away, but not an easy or safe walk with narrow two lane roads and in a very hilly terrain. Woodford Bridge is famous for having hosted Oliver Cromwell during the time that his side was fighting the loyalists in the English Civil War of the mid-17th century. I did get the history lesson on the ride. The next day I took a bus to Bude, walked to the beach there during a storm in which it wasn’t really raining, but drizzing side ways because of the wind. Some fool was out surfing in junky surf inside the harbor walls. I walked to the Bude Rugby Club a mile to the south away from the village and beach. The sun came out, it warmed up a bit, and I walked back to town, visiting the local museum. I had to take a taxi back. It remained mostly cloudy for a few more days, but it was warming up into the 50’s, or plus 10C, like 11 or 13 or so. Dean Davies, another referee, gave me a tour of the Devon north coast line, and it was unfortunate that it was foggy and cloudy that day, because it’s a coastline that could rival Big Sur. We attended the referee society meeting that evening at Crediton RFC, a very old club in Devon. The major topic was about using a computer service like our Assignr, to assign games. Another ref who lives in Stratton, near Bude, gave me a ride back to Woodford Bridge, Zerren Bale, an up and coming referee in his early 30’s who has an ambition to get up to Level One if he can. 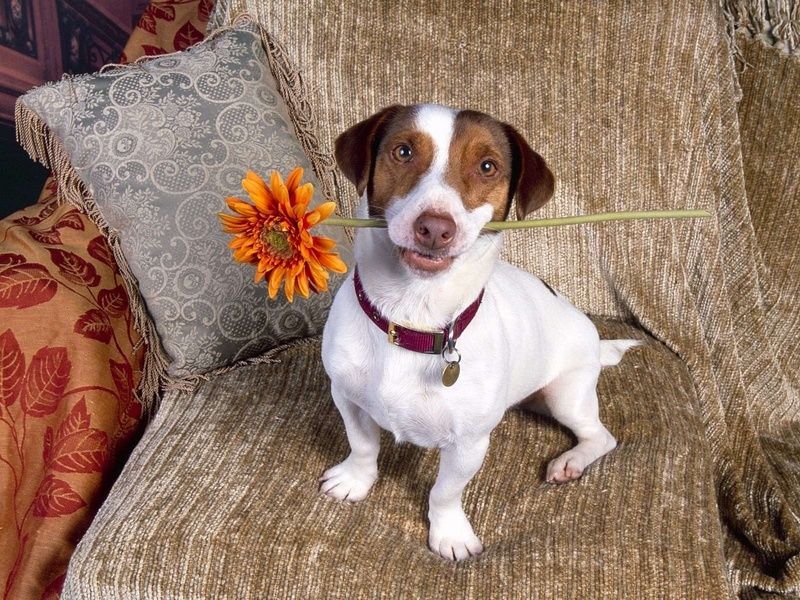 Jack Russell is his coach. If you weren’t at the last Society Meeting then you missed out on a chance to get your kit, including the kit bags. The (astonishingly stylish) new kit will be distributed if I see you at some point in the next couple of weeks and at the Society meetings. I will do my best to find someone to distribute kit to those who can not make the meetings but feel free to reach out to me at hailpelicus@pelicanrefs.com if you plan to be in the San Jose area. Please note that I am tired of storing this junk. If you don’t claim your stuff soon I may just dump it in the Guadalupe River while there is still enough water in it to cover up my misdeeds. The game played out much as the scoreboard indicates. The Cavaliers scored their first try at 01:00 and led 31-5 at halftime. Danville, playing a younger and less experienced side couldn’t keep up with the Pleasanton backs. Pleasanton’s #15 had several electric runs, while the Cavalier forwards owned the middle of the field. To their credit, Danville never lost their resolve and played hard until the final whistle. Maybe game of the season at Witter Field for a late afternoon/early evening kick-off. Many Pelicans were out in force to give full support of the game, and help me along my way. I had a bit of a dodgy start by getting in the way of a very flat pass (under advantage) from the Cal 9 from the base of the ruck, but managed to get out of the way from there on out. The game started a little sluggishly because of some reset scrums early on, but when I figured out that the SMC loose head was simply getting lower than his opponent and having his way, we got some more continuity. Pete Smith reminded me over comms that the play was a bit sluggish, but that was about to change. The Gaels got 7 points on the board early and Cal fought back with two tries, one being an end to end burner, and one an interception from halfway. Audsley kept SMC in the hunt with his huge boot but Cal looked the more comfortable in the 20 minutes before and 20 minutes after half time. It appeared that SMC had missed their chance as Cal’s fitness usually powers them through the final quarter with ease, and with a 24-13 lead it looked very likely again. However, Saint Mary’s were not done and they brought the game back to 24-20 with ten to go. Cal were playing a somewhat uncharacteristic and risky game of playing from deep – often inside their own in-goal area – which often compounded problems they made in that area, so they played inside their own half more than they would have wanted. With three to go, the Gaels decided to have a go from deep inside their own half and fly half Mike McCarthy made quite the jinking run to set up his team with the final score of the game. There was still time for Cal to have the final say, but SMC captain O’Connor got over the top of some isolated Cal attackers and came up with a steal to re-secure possession, ad secure the win. An unbelievable game and wonderful rugby environment. This game had everything from a big crowd, vocal home and traveling support, TV coverage, open rugby, wonderful tries scored on advantage, extended periods of play, some sauciness and aggression after the whistle, and a close finish. The National Championship game will likely not live up to that one, but if it does, we have another great game to which we can look forward. Lots of expansive play by both teams. Danville led at halftime: 19-0. Perfect day in Colusa for rugby. Obviously a very one sided match. score at half was 67 – 0. Colusa scored 11 try’s in each half and converted 8 of them. Obviously the score was not 1-0. With the field in excellent condition for rugby after recent rain, on a sunny afternoon in Hayward Life West and EPA Razorbacks served up a fast, physical and open game that kept the supporters fully engaged from start to finish. EPA kicked off and made an early turnover to gain field position. Hands in the ruck by Life gave the first opportunity to EPA but the kick was left and wide. From the restart Life picked up the pace and following some strong tackling, regained possession and through a number of phases stretched the EPA defense to score a converted try for 7-0 at 5 mins. Another hands in ruck penalty by Life on 8 mins got EPA on the board and reduced the deficit to 7-3. Both sides were competing every breakdown but the next 10 minutes produced no scoring opportunities. EPA were looking to play quickly at every opportunity and a turn-over was moved quickly on 18 minutes to score an unconverted try for the lead at 7-8. After more strong physical play and some good cover defense by both sides Life regained the lead on 27 mins when with excellent offloading in the tackle combined with good supporting lines delivering a converted try for 14-8. On the next series of play on 28 mins, Life were reduced to 14 men for repeat team infringement at rucks (this followed a warning via their captain shortly before). Despite losing a man Life kept their tempo and stretched the lead with an unconverted try on 34 mins (19-8). While EPA looked to stretch Life while they were down a man it took until the last play of the half for it to pay dividends. An unconverted try wide on the right left the half time score at 19-13 in favor of Life West. The opening 10 minutes of the second half was played with great intensity. Life scored on 43 mins to extend the lead further, 26-13, but EPA came straight back into the game on 48 mins bringing the score to 26-20. While play remained fairly even in terms of territory for the middle 20 of the second half it was Life who scored 3 tries (2 converted) on 56, 61 and 63 mins. Two of these scores came from turnover ball wide out as EPA chased the game. 45-20 at 63 mins. Substitutions were frequent by this stage and islander pride in the tackle and the charge into contact came to the fore with some strong but legal contact from both sides of the ball. Both sets of players were obviously enjoying the contest with the crowd fully engaged! EPA scored on 76 minutes as their scrum-half spotted a defensive gap and was through untouched. Converted for 45-27. Not to be out done Life finished with an unconverted try with the last play of the game to close out the score at 50-27. A supersite for Division 2 with 5 games on the docket, I had the first game between Baracus and Diablo. We kicked off at 10:00 am and Baracus took control, scoring 3 tries and a penalty kick for a 22-0 score, before Diablo scored with one minute left in the half. In the second half, it was much more even with Diablo putting there offence in gear. Baracus did score the next try for a 27-5 lead, but Diablo outplayed Baracus for the last 20 minutes, scoring three tries to none to make the score close. The game was played in good spirits. Thanks to Eric Rauscher for watching and helping me with some pointers and good advice as my referee coach for the day. This was one of several D2 Men’s games held in one day at same venue aka a super-site . Sunny spring weather and a grass field in good condition set the platform for an intense, hard game of rugby. The game started with 25 minutes of fast clean good rugby. Both teams were strong in both forward and back play with a lot of pick and drives off the rucks and a lot of ball to the backs as well, including many kick and chase plays. Around the 28 min. there was a skirmish between two opposing players and, for about ten minutes, behavior was testy. After talks to the captains and a couple of yellow cards, players brought their full attention back to playing. At halftime, Fresno were up 13-3 after two unconverted tries and a penalty goal each. If the first half was Fresno’s, the second half was Vacaville’s. Vacaville scored several in the second, including a lucky run away intercept try, off a Fresno attacking play around the Vacaville 22, that showed athleticism and speed. Both teams were in it to the end. Fresno scored on the bell but were unable to convert the try, leaving the score at 20-18. San Jose scored early when their inside center poached a soft pass off of Napa and took it 40m for the try. After that, it was all Napa. Napa had strong running from their backfield and a stiff defense, denying San Jose any real chance to stay with them. Many thanks to Sam Reagle for the coaching, especially the pointers on better managing the penalty count. This was a very good game. Silicon Valley was 33-17 at the half time. I thought myself this will be a run over by Silicon Valley. It was a very good come back by Berkeley . Berkeley have enough subs for their team while Silicon Valley only shows up with 16 players. Berkeley uses the ball wisely and controlled the game during the second half. Berkeley uses their fitness against Silicon Valley and that is how they managed to win the game. Good game for both teams. Good rugby spirit though out the game. Thanks to Ben Parker for his home team and always very good hospitality. Hope Ben will host some more Rugby tournament. Manuia to you all!!! Exciting rugby match – winner is guaranteed a seed to Nationals. Lead traded hands several times. Chico State’s fitness and line breaks were the difference in the match. Thanks to David Pescetti and Barry Foley for volunteering to AR – Pescetti definitely earned his keep by confirming a try that I had no visual of! Ah playoffs. Yes playoffs. It’s that magical part of the year where Jim Mora becomes relevant again. We had WSU vs Cal in the early fixture. The number one of the North flexed it’s muscles pushing an early lead and never relenting. Opening the first quarter to a 14-0 lead. The back play by Wasu was their key to victory and their high scoring offense. Posting 40 in the first half. The bears fought mightily with their own flashes of brilliance. WSU, in the end, was just too much and worked their way to the next round. Hard fought game, tackling, running & passing mostly by USF who dominated possession. McClatchy dominated the first half of play leading at the break 42-0. Lamo were able to string together several phases in the second half and scored 21 points; unfortunately the visitors added 27 additional points to close out the game. Congratulations to Chico for making the “sweet 16” round of playoffs and in the process beating both Oregon and Washington State by 1 point in each game. Chico’s backline seemed to find space on the outside of WSU’s center defense and Chico scored first to take a 5-0 lead. WSU countered latter to take the lead and converted their try to make it a 7-5 game. Chico continued to attack and scored in the 30 minute of play to make it 12-7. Toward to waining moments of the first half WSU scored a converted try to end the half 14-12. at the 50th minute WSU extended the lead to 21-12. Mid-way through the 2nd half the game became marred with high tackles. With 5 minutes to go Chico scored a pentaly kick to make it 21-15. WIth a minute to go WSU controlled their scrum and useed pick and drives to slow the game down. However, a tackler jarred the ball from the carrier and the ball landed at the feet of Chico’s fastest player who proceeded to take the ball 70 meters under the posts to take the score 21-20. The conversion kick was successful and Chico won their second game of the series. Playoff weekend rolled into Sunday where the two top Wild Wild West teams clashed. Defending champs Davis took on hosts Stanford. Davis was a model of consistency. That model was play it through their speedster backs for numbers wide and let the legs do the rest. Over half their tries were scored by their backs. Stanford scored through their forwards. Davis scored and converted all of their first half tries, looking like taking the shut out into the half, but Stanford, late into expired time, was able to punch in a try and put 7 up. Stanford came out rejuvenated and aborted the opening points of the 2nd half. Davis looked stunned, and Stanford looked threatening. Unfortunately, the daze wore off as Stanford tired at the end of the second half as Davis scored 3 times in the last ten minutes. Pelicus Tempus Procurator earning his Pelican Name in the Cal – St Mary’s match by carefully adhering to Law 5.3 – The referee keeps the time. This entry was posted in News on March 30, 2017 by James Hinkin.